Luo Rongchuan and Rong Dongxue are two grade five students in the primary school of Yinji village in Yunnan, an area famous famous its rare and endangered bamboo plants — Qiongzhuea tumidinoda (“Qiongzhu”). But the plants are being overexploited by the local villagers because of their commercially-valuable culms and edible shoots, which has caused serious damage to the natural forests, villagers harvest the shoots and culms without the proper sustainable techniques, and as a results not only the bamboo, but also the incomes of farmers who depend on it, are under threat. 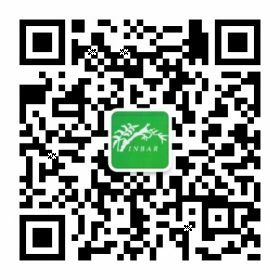 INBARs EU funded China bamboo biodiversity programme aims to improve the incomes of farmers who make a living from harvesting Qiongzhu bamboo. The first phase of the programme was to persuade the harvesters to cut the bamboo and harvest the shoots according to the sustainable management plan and not to do as they did before. This has proved to be difficult, because the villagers are accustomed to their old methods and boycotted the sustainable management methods the project promoted – switching to the new methods would result in short-term decline in income for them. INBAR and the leaders in Yinji village tried lots of method to persuade the farmers, such as organizing explanation classes, but the farmers did not support the program. Mr. Lin’s wife, a teacher at the local primary school, suddenly had an idea one day – she decided to invite one of her colleagues, Mr.Tang who is an expert bamboo-clapper composer, to compose some pieces of music and then teach the students to perform it for their parents and other villagers. At first there were no apparent effects, but change happened gradually. The youngsters had given a great performance and afterwards asked questions about bamboo biodiversity, what INBAR does in their village and learned about the importance and benefits of sustainable management. They became young “volunteers” promoting the concept of bamboo biodiversity to their classmates, their parents and the villagers. In June 2008, experts and officials of the project visited Yinji village, and found the villagers had changed. They had gradually understood and accepted the programme, didn’t release cattle and sheep onto the pilot site, and neither did they secretly harvest the bamboo shoots. What had happened? The farmers said “Our children learned that the sustainable management is science, as parents we should respect and promote children’s learning at school, we believe in them.”…”the experts and teachers said this program will enable us better living and make the environment better in the long term”. Through the efforts of these pioneering youngsters, the villagers attitude has gradually changed, and the program is now working well in Yinji.